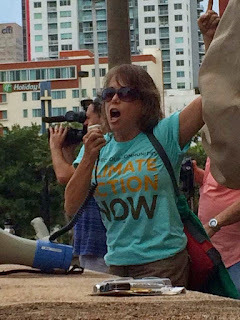 Sierra Club Florida has passed the torch to a new chair: Winston “Mark” Walters from Miami. Walters, who has served in local, state and national roles since the 1990s, takes the helm from Debbie Matthews, who served in the role for four years, but will stay on as chair of the Group Advisory Council. 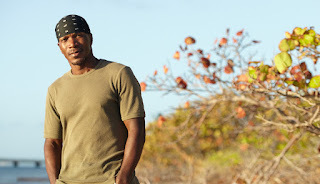 Walters, a brain and spinal researcher at University of Miami’s Miller School of Medicine, was introduced by a friend to the Club’s Inner City Outings Program, now called Inspiring Connections Outdoors (ICO). When he got there, “I saw that 95 percent of the kids were black and there were no other black adults. I considered it an obligation,” said Walters, a Jamaican native. “I think it has changed a lot of their lives.” Some kids, he said, are now in college and volunteering. Others have kids of their own. Mark said one of his chief goals is to keep the chapter functioning efficiently, especially in light of recent environmental attacks by the State of Florida. “A few people with resources end up dictating to us what our landscapes should look like,” he said. “We subscribe to nature as big nature. We think of it as a national park. There are lots of places, if we broaden our scope. I spend a lot of time in my kayak. We have access to the ocean. The issue is not enough people are educated about the wealth of what’s available." Nothing demonstrates this more to Walters than Virginia Key, a natural island in Biscayne Bay, just a few minutes from downtown Miami. Sometimes Walters picks up his daughter in Miami’s Brickell neighborhood, a high-density patch of skyscrapers, and drives out to Virginia Key. Debbie Matthews steps down as chapter chair after serving four years, but she will continue to serve as Group Advisory Council (GAC) Chair. She said the best accomplishment was having consistent meetings every quarter and getting most of the groups there and having the opportunity to bridge the gap between groups, state and national. "We are on the cusp. I’ve seen the change with high tides [while rowing] on the water. It will just keep amplifying and getting worse." "That’s hard because we have such biodiversity. Pinelands in the Everglades. Fanning Springs State Park. Our springs are just gorgeous. They are an endangered ecosystem."